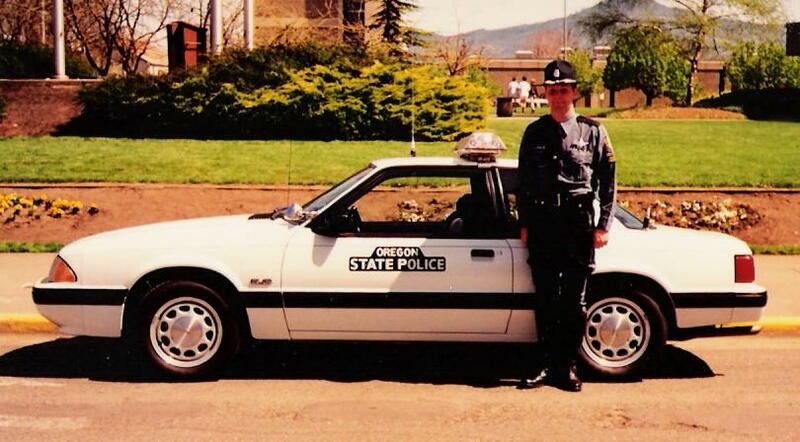 1984 Oregon State Police. 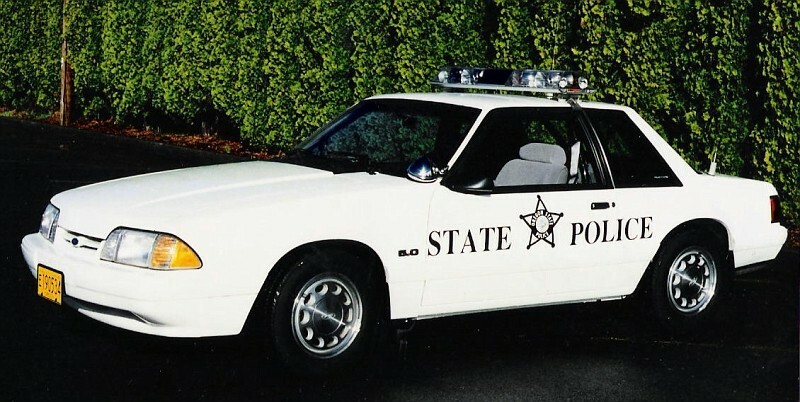 OSP used some pretty unusual lightbars on these cars through 1987. These were made by Cheetah manufacturing in Oregon. 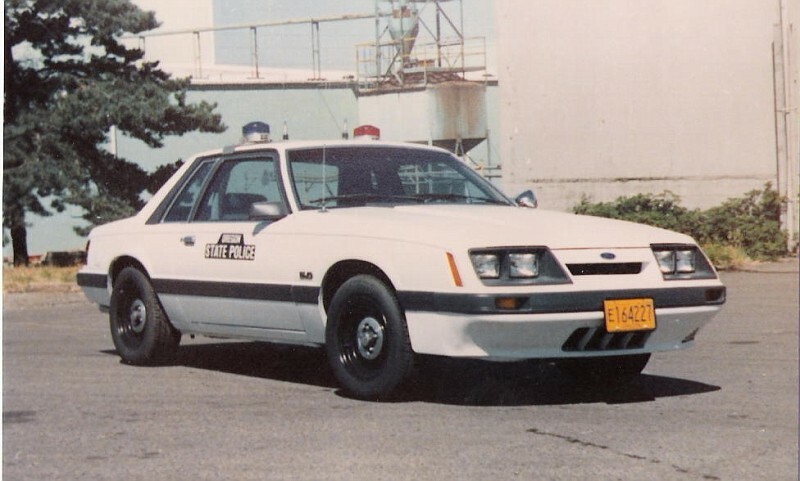 1985 Oregon State Police Mustang. This is an automatic car, with the 14 inch wheels. 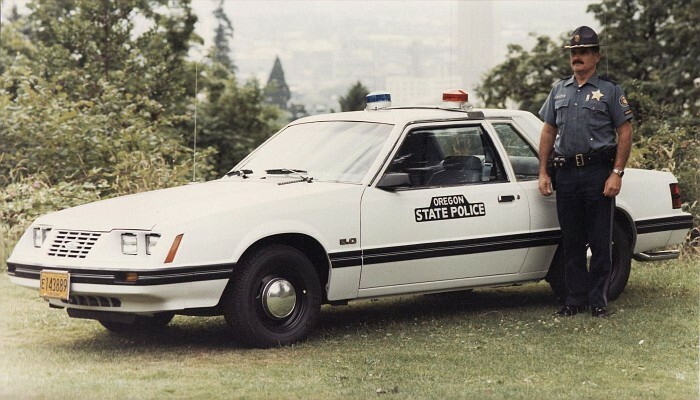 Nice shot of an '86 OSP car. 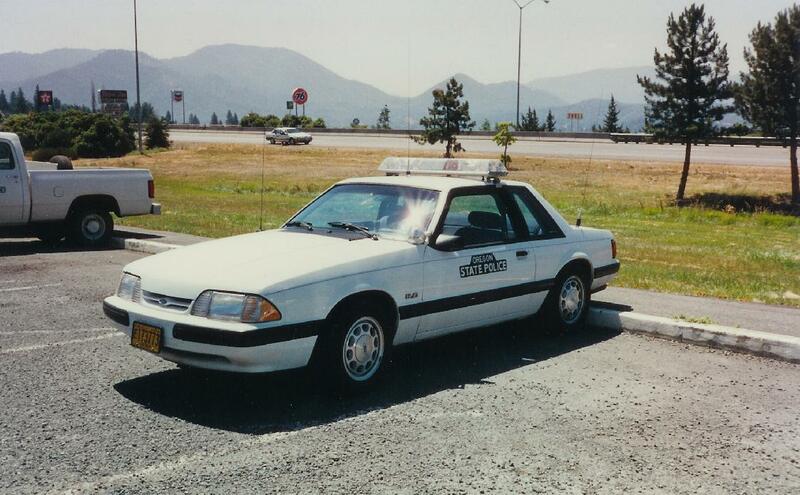 1990 or 1991 Oregon State Police Mustang, with a Code 3 lightbar. 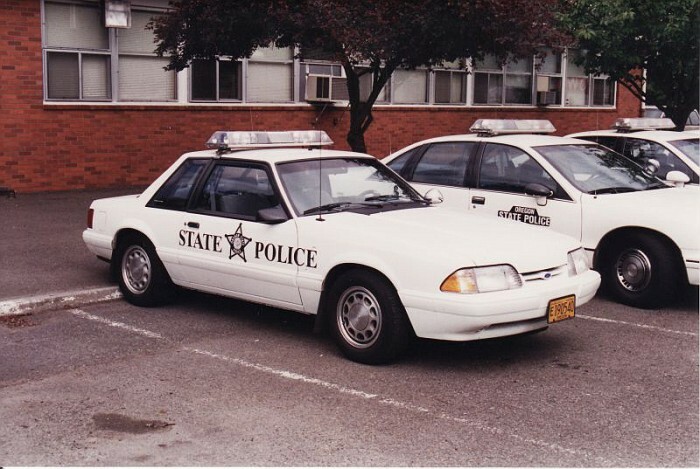 Nice shot of an '93 OSP car, with updated door decals. 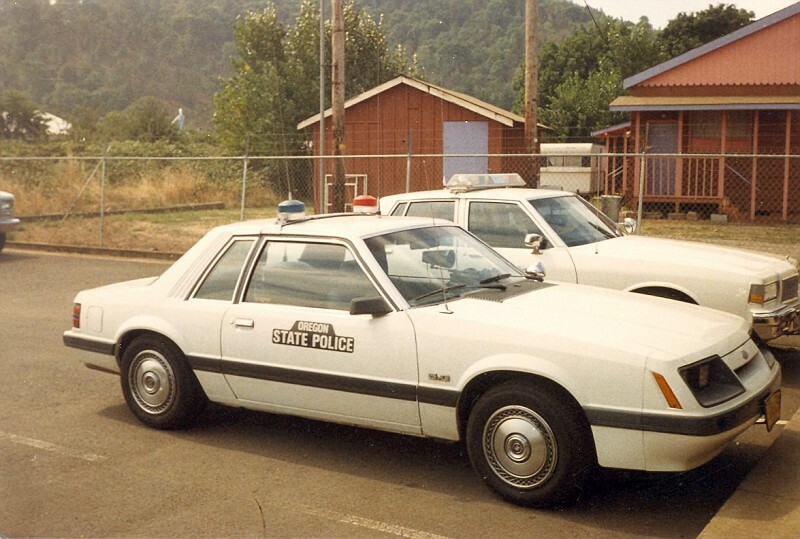 The Caprice next to the Mustang has the older graphics. Another 1993 car. E. Prince Photo.